Police and Sheriff RC Car Scale Police Sticker. The MyTrickRC Police Stickers make seriously legit RC police vehicles. 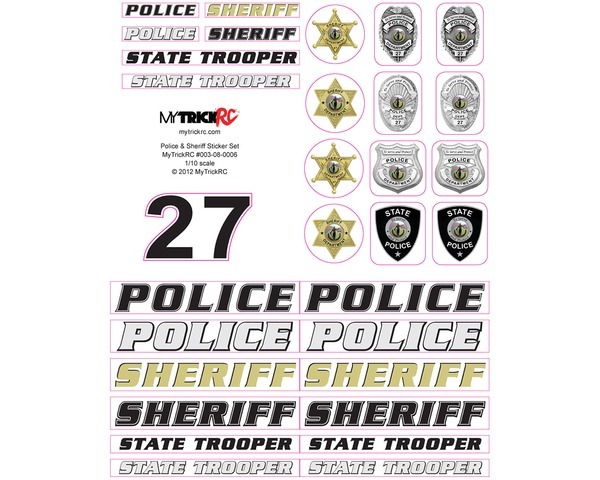 These stickers make it easy to get great results on your RC Police project. Add MyTrickRC Lights and Flasher Bar to complete your scale police vehicle. Be prepared for wicked results and lots of attention from everyone who sees it. - Finish off any police car quick and easy!